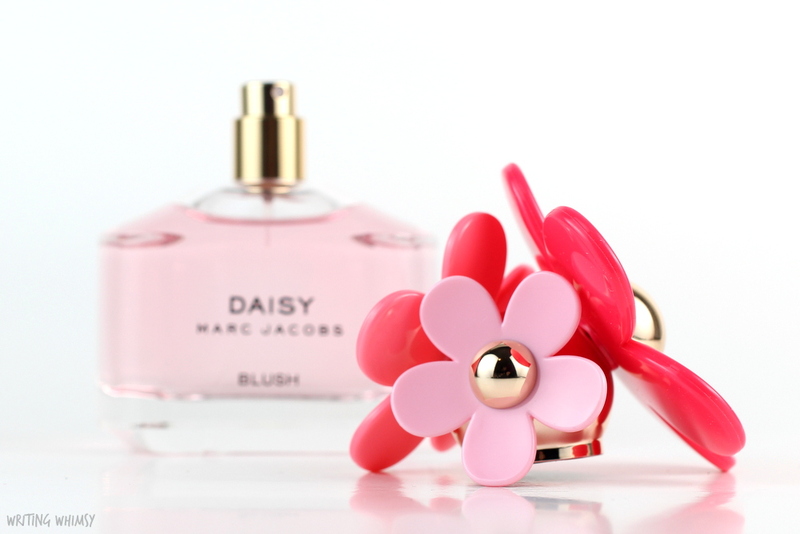 It’s been over a year since I’ve shared a Marc Jacobs Fragrance on the blog, but the Daisy scents are some of my very favourites. 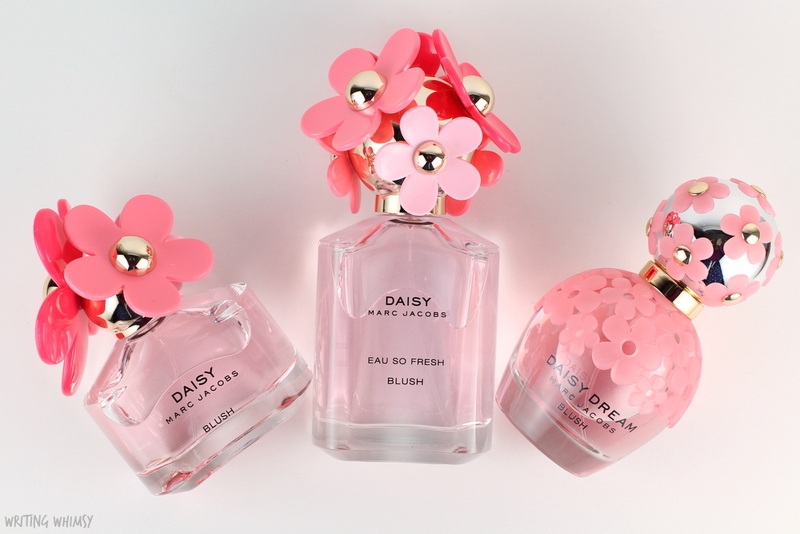 Two years ago for Spring, the brand released “Delight” variations of the Daisy scents including Marc Jacobs Daisy Delight, and last year they went with “Sorbet” editions including the Marc Jacobs Daisy Sorbet and Marc Jacobs Daisy Eau So Fresh Sorbet. 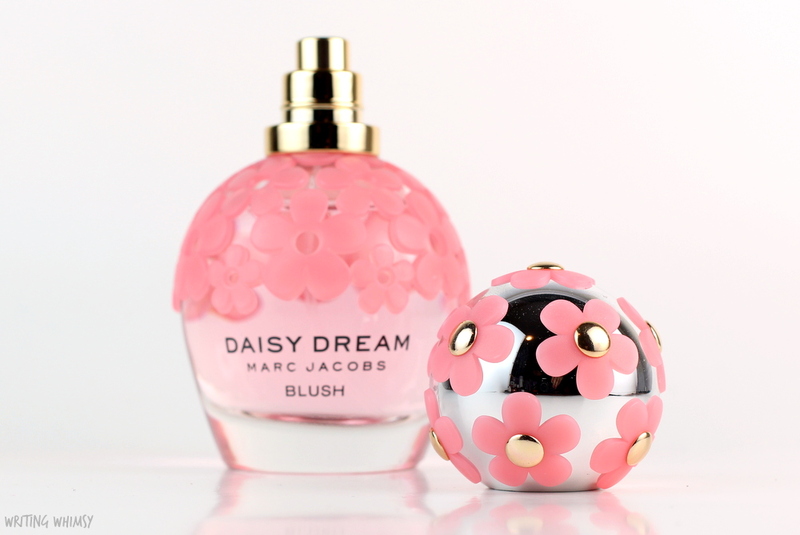 This year, the brand is going Blush with the Marc Jacobs Daisy Blush, Daisy Eau So Fresh Blush and Daisy Dream Blush all of which I have to share with you today. In terms of packaging, the major difference between the Marc Jacobs Blush Fragrances and the originals is that these are entirely in shades of pink, including a blush pink liquid inside the container. I do love how the limited edition packaging always matches the permanent because they look so adorable and well-matched beside each other. The bottles themselves are gorgeous and easily some of my favourites I own, that goes for both the originals and these new Blush variations. 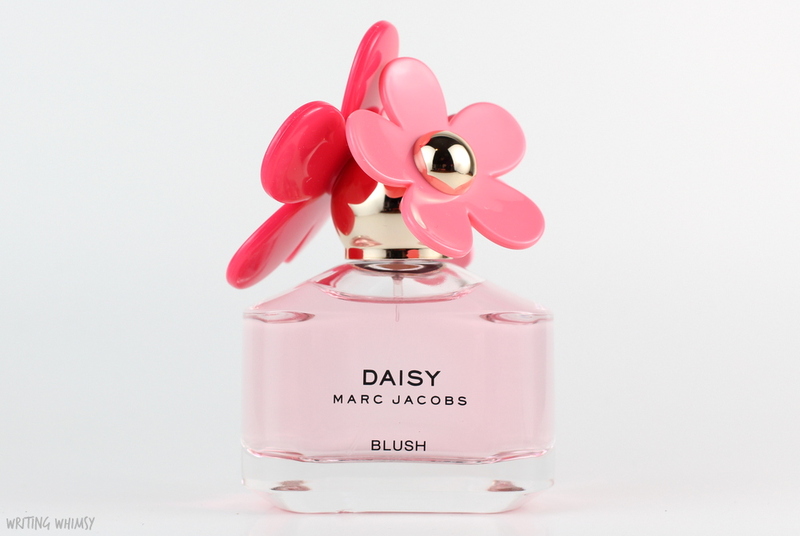 The Marc Jacobs Daisy Blush is a soft sweet floral fragrance that begins with top notes of waterlily, pear and bergamot that give it a light, slightly aquatic and juicy element. The heart notes are lily of the valley, honeysuck and mimosa, which is the predominant white floral. Finally, it rests on a base of precious wood and skin musks which become more noticeable over time. This is definitely less powdery and crisp than the original Marc Jacobs Daisy (reviewed here), and more of a sweet, white floral fragrance perfect for the Spring and Summer. However, the wear is not particularly long so you will have to reapply throughout the day. The Marc Jacobs Daisy Eau So Fresh Blush is a sweet, citrusy floral fragrance that begins with the juicy, crisp notes of apricot nectar, mandarin orange, apple and pink grapefruit. There’s definitely something a bit tart about it at first, but that quickly blends into the heart notes of freesia, lily of the valley, honeysuckle and rose which give it a light floral sweetness before fading into the base notes of cedarwood and musks. I really like this fragrance, it’s fresh and sweet but soft at the same time because of the florals and musk. It’s also longer lasting than the Daisy Blush scent. The Marc Jacobs Daisy Dream Blush is very green floral that starts off with the fresh, crisp notes of violet leaves, waterlily and bergamot before it dries down into a stronger floral with notes of rose, lily of the valley and freesia. Even the base is very clean with notes of vetiver and clean musk. This is definitely the greenest of the Blush variations, and much less sweet than the original Marc Jacobs Daisy Dream, which I reviewed here. To me, this is a new garden scent, and while I prefer the other two in the range, I can see this being a very refreshing floral fragrance in the hot weather. Honestly, I was pretty giddy over when the box containing the new Marc Jacobs Daisy Blush Collection arrived. I’m just such a fan of this perfume range and I’ve definitely missed reviewing fragrances this year. 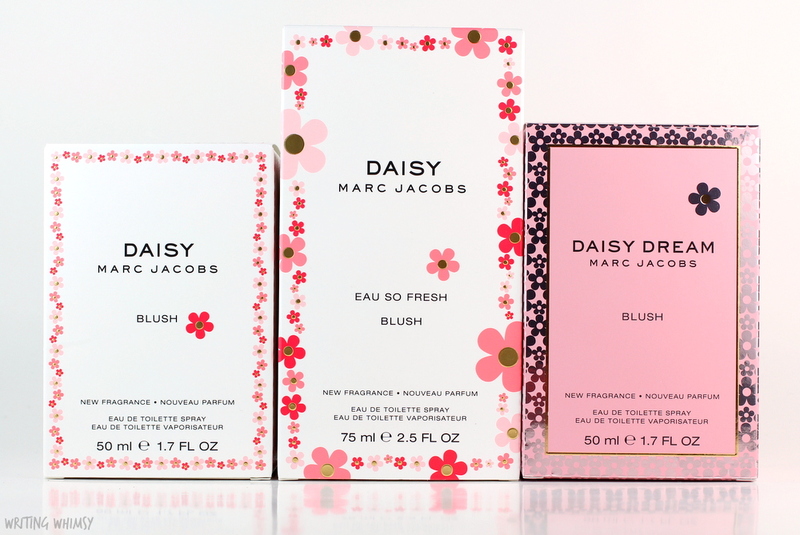 If you’re already a fan of the Marc Jacobs Daisy scents you’ll definitely want to check these out, but even if the adorable packaging hasn’t won you over yet, I highly recommend giving them a try. 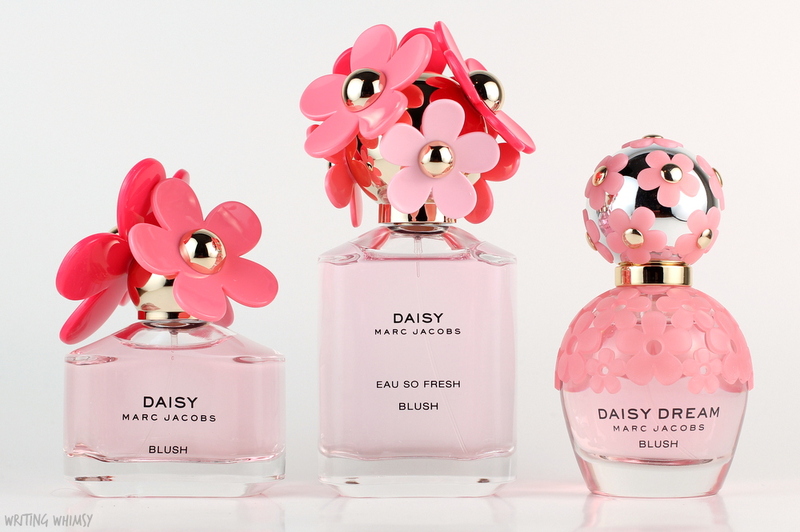 My personal favourite is the citrus floral notes of Marc Jacobs Daisy Eau So Fresh Blush, but all three scents would be perfect for Spring and Summer. Do you ever pick up limited edition variations of your favourite scents?